First things first: How does e-procurement work? 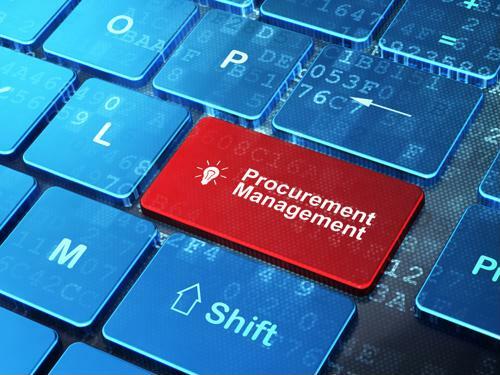 In short, e-procurement is the electronic means of purchasing and supplying goods and services that allow your lab to operate, according to the Chartered Institute of Procurement & Supply. E-procurement got its start in the 1980s when electronic data interchange first entered the tech scene, according to Procurify. Ever since, the platform for sending and receiving orders via electronic means has taken over the business side of life sciences research. For large public labs, e-procurement is a must, especially when tracking inventory and delving into analytics. However, small private labs can also enjoy the mobility of this technology. Cloud-based applications: Cloud storage has becoming increasingly available with procurement, especially in the past few years and particularly with order management. Invoice matching and payment, access to past receipts with just a few clicks, having buyers and sellers working in the same online platform and instant notifications of purchases are all some of the features that researchers and PIs can come to expect in the next few years. Mobile e-procurement: Chances are as a professional researcher, you are interested in the progression of mobile software. Researchers and PIs are on the go quite a lot in their field, so having mobile access to procurement strategies allows for more flexible and agile lab atmosphere. Being able to make purchases and plan budgetary items from anywhere gives everyone in the life sciences sector more breathing room. It's all about automation: Thanks to cloud-based software, public sector agencies can automate the production and billing cycle in a much more speedy and effective manner. According to Government Computer News, one example of this is BidSync, which makes a suite of automated e-procurement solutions aimed to streamline the budgeting and buying process. Going completely paperless: Tracking systems software is allowing business to give up paper for good. Campus Technology recently interviewed University of Missouri system's vice president for finance and administration Nikki Krawitz. During the course of the interview, she claimed that researchers and their assistants will not have a need for paper during their work. As Krawitz began to look at the user-end experience at UM, she noticed that principal investigators within the departments and laboratories were on board with e-procurement, but still making paper copies. Now, researchers are looking to an end-to-end process in which paper is not used at all but rather stored in the cloud. This is a trend that is taking over in a big way, most notably with the U.S. Army, according to the Brookings Institution. The organization's 3-in-1 tool is actually a mobile procurement program that allows military personnel to purchase, track and record transactions from anywhere. Surprisingly enough, up until this recent shift, the Army had been operating under a handwritten procurement system when officers were in the field. With this new innovation, the Army has eliminated copying, storage and shipping of these documents while increasing accountability, control and transparency. One thing is for sure: E-procurement is not going anywhere anytime soon. As more researchers and PIs are becoming familiar with cloud-based technology and mobile apps, a more streamlined purchasing experience can be expected across the board for life sciences in general.